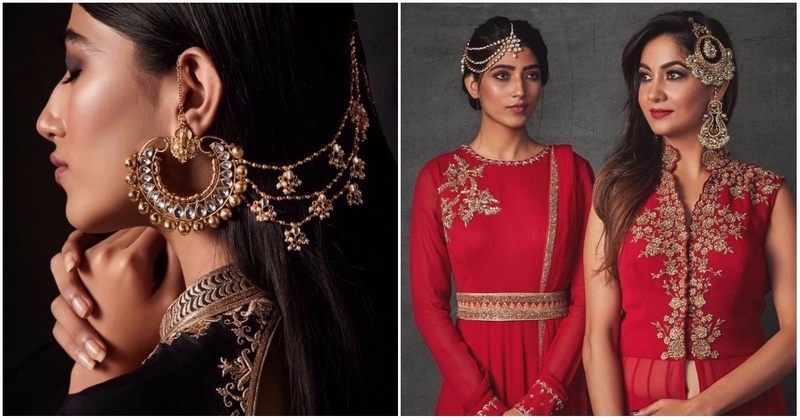 7 Jewellery Designers That Have Amazing Bridal Jewellery For Indian Weddings! Looking for bridal jewellery for an Indian wedding or Sangeet? Check out these jewellery designers that have the most stunning collections of wedding jewellery and more! Whether it’s a heavy piece or a light one, their jewellery always a regal touch to it. The finest bridal jewellery with creative and unique designs to set you apart. A name that stands synonymous with beautiful, unique, stunning and contemporary design. A brand that lures every woman with its unique contemporary designs. Since its inception, the brand had already attracted many a woman with its unique designs in vibrant colours, semi-precious beads and plated jadtar. Astha Jagwani creates an amalgamation of European Silhouettes with Indian techniques & vice versa. This season indulge in exaggerated body jewellery. "Nepra by Neha Goel" is a label of stylish handmade designer jewelry made in silver and brass with Semi-precious stones and zircons. Depicting Indo western influences, the label combines colors, enamel and techniques to bring out the best in contemporary jewelry design forms. Soranam does beautiful eye catching zircon jewellery set in pure rodium silver ,again available in an array of designs in a wide range of precious and semi precious colored stones. The brand has expanded its range from semi-precious contemporary fashion jewellery to real Victorian which is a blend of ancient Indian and European ethnic gold jewellery set in real gems like turquoise, coral, ruby garnets, turmarine, etc. They have the prettiest earrings.